When you take care of the Earth around you, you are also caring for the health of all of the people and future generations that live on this planet. The Earth provides the air we breathe, the food we eat, and the water we drink. So, why are we doing so little to protect it and create a better world? After all, we only have one world and we know that our resources are finite. All around the world, people are suffering from the effects of pollution, climate change, hazardous chemicals, waste, and more. We, along with others across the world, must do our part to protect the Earth. Fortunately, there is a day that is held nationally throughout the world that promotes this idea. Referred to as "The People's Day" for taking care of the Earth, World Environment Day is a way for the UN to unify people throughout the globe and enlist citizens of the Earth to create a better world around them. The very first World Environment Day theme was "Only One Earth" and it was hosted in the United States in Spokane, Washington. Since then, it has continued every year for 44 years and has been hosted in countries all around the world including Canada, India, China, South Africa, Korea, and more. In recent years, millions of people have taken part in registered activities worldwide. Community initiatives, such as The Great Canadian Shoreline Cleanup, encourage residents to get out and do their part for the planet. With thousands of events across the globe, World Environment Day has become an international movement towards saving the environment. Studies have shown that over 20% of all human deaths worldwide may be attributed to factors that are present in the environment. After all, pollution in the air negatively affects our lungs, our food sources, and our water sources. Hazardous chemicals, climate change, and more raise the mortality rates for not only humans but all life on Earth. What does that mean for you and your personal health? Here at Physiomed, we know this can affect you in a variety of ways. If you have asthma or allergies, your health may be negatively affected by pollution and you may find it more difficult to breathe. People with weaker immune systems may feel sicker due to hazardous waste or drastic temperature changes that are the result of climate change. The very young or the very old may become ill due to extreme temperatures. Breathing the air, consuming food, or drinking water that has been polluted can permanently affect the genes of an unborn child. Many children have been born with defects as a result of hazardous chemicals in our bodies that come from the environment. Why wait until World Environment Day to do good for the Earth? Protecting the Earth around us should be something that we think about every day. Your contributions to helping the environment can be small — every effort counts. Reduce your plastic usage. Plastic pollution is a serious problem and it rarely breaks down in landfills. When you do use plastic products, make sure to properly recycle them. When possible, switch to products that are biodegradable versus ones that are not. Biodegradable products are much less harsh on the Earth and have a much shorter lifespan. Never litter, and encourage others to recycle and throw their trash away in appropriate places. When you do spot trash and litter outside, make an effort to pick it up, even if you weren't the person that left it there. Learn about ways that you can reduce your energy footprint on the planet. Conserve energy and water when you can, and look into the option of solar power if it’s available in your area. Reduce your waste whenever possible by only purchasing and using the items that you need. Make an effort to use reusable containers to reduce the amount of trash your household produces. Think about switching to a hybrid or electric car. This will reduce toxic fume emissions, as well as save you money on gas. It’s important to take care of our planet in order to take care of our health. 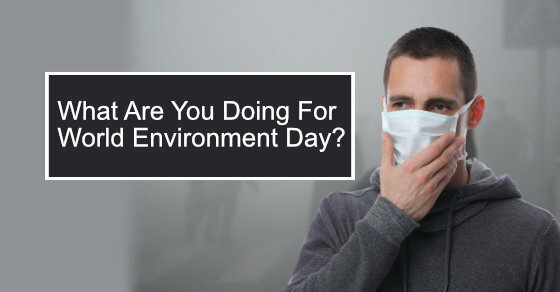 For more information on how the environment can affect your health, contact Physiomed here.